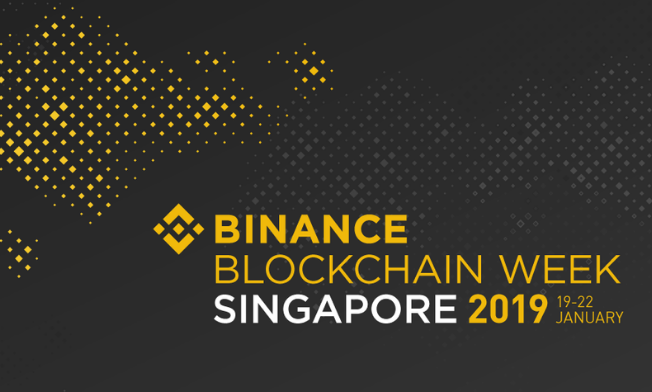 Binance Blockchain Week successfully concluded in Singapore on Tuesday, January 22. As part of the week, a two-day conference was held at Marina Bay Sands, featuring over 60 speakers from around the world. One of the more exciting discussions occurred on Day 1 of the conference, during a panel titled “Building Scalable Business: Foundations for Success”. The panelists comprised of investors who have experience scaling companies or with successful portfolios under their belt. These included Hsien-Hui Tong, Head of Venture Investing at SGInnovate, Nix Nolledo, President of Eden Holdings and Michael Arrington, Partner of Arrington XRP Capital. What’s Most Important in a Successful Business – Plan or Passion? Nolledo expressed the importance of understanding the business fundamentals by first determining the total addressable market. The business plan will outline realistic goals, such as how to turn $1 million worth of fuel into $3 million worth of fuel, and the steps to achieve that. In response, Arrington – known as a founder of TechCrunch and Arrington XRP Capital – remarked that this (process) was so boring. Coming from the Silicon Valley, he preferred to work with software, where there are zero marginal costs. Instead of focusing too much on the economics behind the business, he would focus on the passion of founders instead. While companies may indeed incur very low marginal costs of production, Nolledo elaborates on the importance of having a business model by highlighting the often expensive nature of customer acquisition. In competitive markets, companies may find themselves bidding up the acquisition spending to attract customers. A proper business model will consider such factors as part of the scaling process. Earlier in the panel, Arrington advised startups to begin with a passionate and charismatic founder and look for a second person who can build and scale businesses. This likely originated from his experience building TechCrunch, one of the go-to sources for the latest developments in technology. He described himself being lucky when the company eventually found huge success. Referring to his advice, this may be attributed to his fortunate discovery of partners with experience building businesses. Tong identified the importance of context by comparing an angel investment (very early stage) to a series round (maturing/scaling stage). The former typically stems from little information beyond a founder’s experience, character and ideas. On the other hand, institutional investors scrutinize the bottom line of the business before committing to a series regardless of whether the financials are boring or not. Tong also expressed concern that blockchain startups attempt to solve huge problems in entrenched sectors. For instance, it would not be easy for a startup to challenge the biggest players in FinTech. With little time left in the panel discussion, Arrington quickly responded that he would rather look for Schizophrenics, some of whom may have the most outrageous ideas. He would then look for people with Obsessive-Compulsive Disorders (OCD) to add support to other parts of the business, while blocking psychopaths from gaining positions at the top. He ended off the session by disagreeing with everything his fellow panelists had said. This is perhaps a testimony to how startup culture can vary from region to region. As blockchain is a global phenomenon, startups may increasingly experience obstacles penetrating new markets and bridging cultural differences. In a panel discussion held on Day 2 of the conference, speakers from various regions (China, US, India, Latin America and Southeast Asia) gathered to discuss challenges based on their experiences. As part of this panel titled “Emerging Crypto Markets to Watch in 2019”, Asia Blockchain Review’s Head of APAC Nicole Nguyen also highlighted important points to note when entering Southeast Asia — including the media’s three key markets in Vietnam, Thailand and Malaysia. 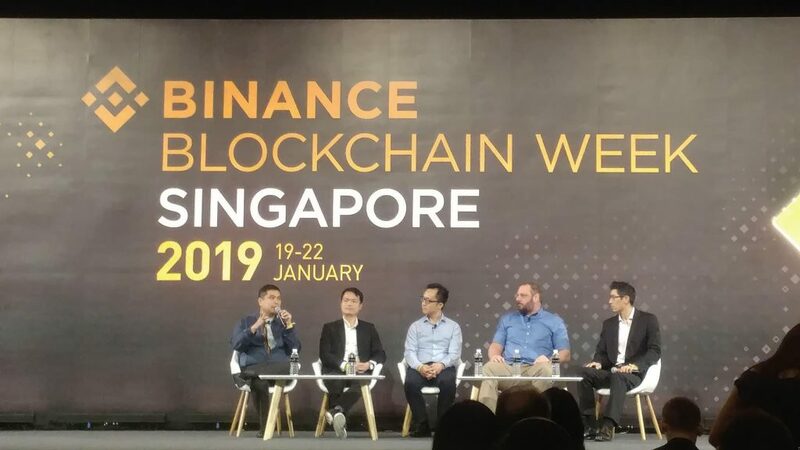 In an interview following the panel, Nguyen emphasizes that the region “still sees a strong and healthy blockchain ecosystem despite the bear market, but to tap into these opportunities a startup will need to build up communication channels in each country to receive crucial regulatory information and latest developments, as well as build up relationships with key local players.” This can be daunting to many startups without the necessary cultural understanding or funding to facilitate the expansion..
Binance Blockchain Week did an outstanding job bringing together people from vastly different backgrounds. Although the conference has ended, the conversations will certainly continue to reverberate and proliferate across the blockchain space.